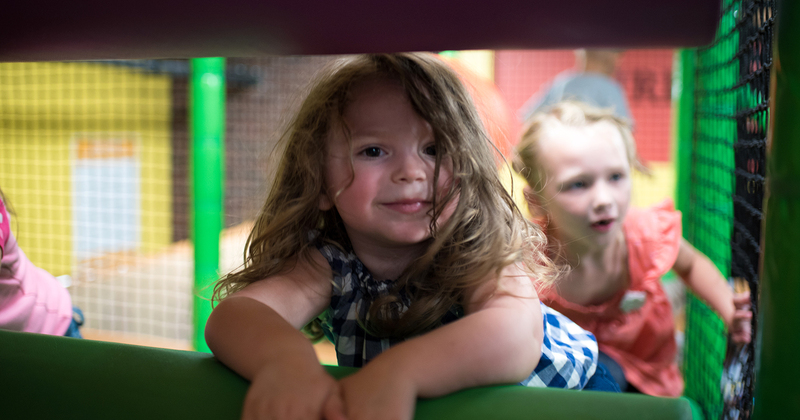 Crossroads Church has a founding principle of caring, nurturing and protecting children. And we do it while having a ton of fun! This commitment to children can be seen throughout the church including the new “Main Street” children’s wing, the home of Crossroads Daycare which is an extension of the church’s ministry. Crossroads Daycare is open from 6am - 6:30pm. Crossroads Daycare is a nurturing environment in which a child’s individual needs are met. Our environment, staff and programs give children a great opportunity to develop socially, spiritually, intellectually and creatively. Our teachers develop weekly lesson plans utilizing The Indiana Early Learning Foundations developmentally appropriate curriculum. You'll appreciate the ability to view your child’s activities anytime during the day through the App provided upon enrollment. We understand how challenging a parent’s role is and at Crossroads Daycare we also focus on how we can partner with the parent in making their life less challenging. This is reflected in our lower competitive pricing, our commitment to later hours, providing before and after school care for siblings, and offering parental supportive programs including marriage dynamics, parental methods training, divorce and separation support, grief and loss support, managing your finances, and spiritual development. Crossroads Daycare Director Shelly Hensley has over 25 years experience in directing childcare and invites you to review the pricing structure below. To learn more, simply select the button of the service you wish to enroll for. You will be taken to a different page specific to that service, which will provide pricing information and an opportunity for enrollment. If you need more information please select contact us, or if you want to speak with Shelly please call 317-449-0825, leave a voice message and she’ll return your call. Our Daycare is growing again! There are part-time and full-time positions available with infants, toddlers, pre-school, and in the kitchen. If you are interested, send your resume to shelly.hensley@welcometocrossroads.org.